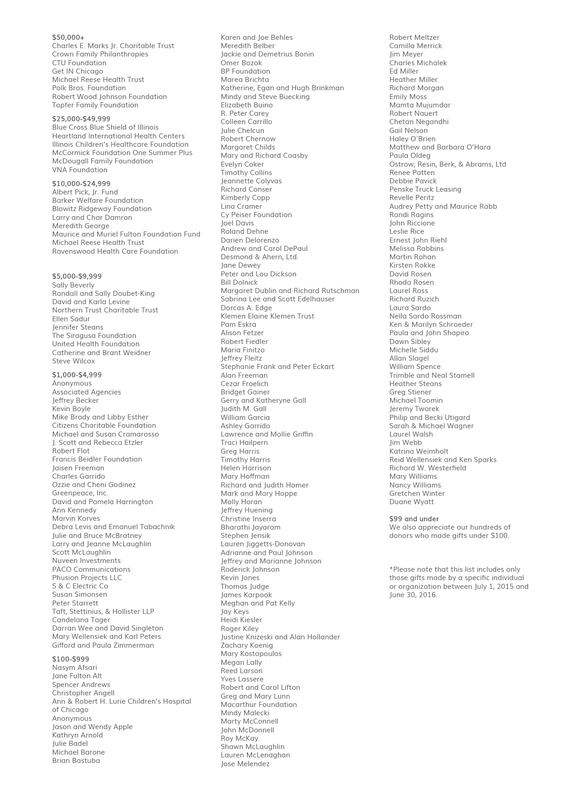 Alternatives Annual Report FY 16 - Alternatives, Inc.
FY16 | Thank you to our Donors! 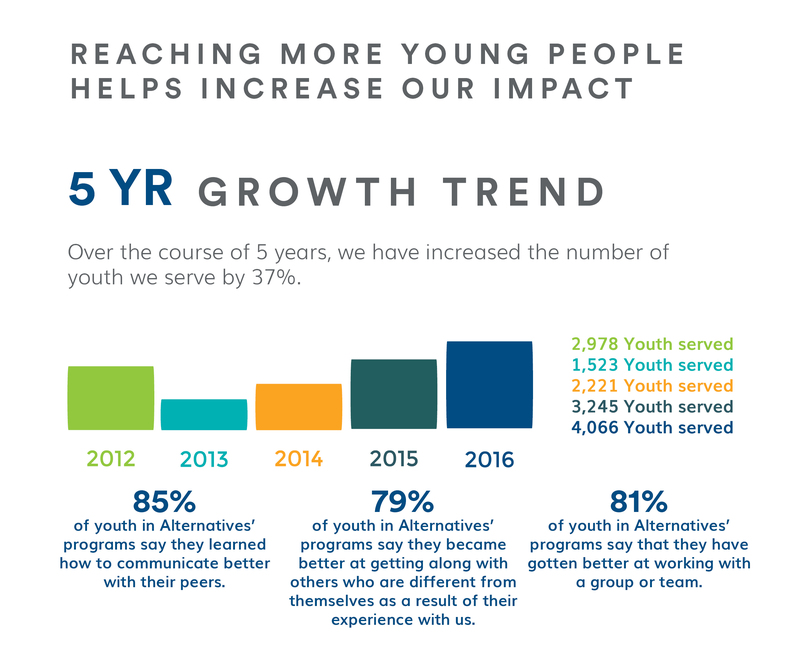 Throughout our 45 years as a youth and family services agency, Alternatives has used the process of listening to young people to better understand underlying issues and to develop programming through collaborative efforts that build skills, responsibility, teamwork, problem solving, and community. While life poses many challenges to us as individuals, the secret to overcoming them often lies in working together. At Alternatives, this simple idea guides everything we do, from our programming with youth and schools to the way we deal with unexpected setbacks. Both within programs and as an agency, we have taken a cue from the resilient youth we work with every day by relying on a combination of resolve and teamwork to take on several challenges, both positive and negative, over the last year. One of the most formidable challenges we faced was the Illinois state budget impasse, a serious situation that is ongoing. As a consequence of the political stalemate in Springfield, funding for social services has been cut across the state, including over $1 million for crisis and counseling services here at Alternatives. In response to this predicament, our staff have worked together to ensure that internal and external resources are shared and youth continue to receive the support they need. In contrast to the cuts in counseling services, we were delighted to take on the exciting challenge of raising $75,000 in new and increased gifts in just six months, an amount that a generous funder promised to match by 150% if we were successful. Our Board of Directors and friends went all out (one even ran an ultra-marathon! ), and we exceeded that challenge by raising $109,000. Within our programs, young women took on the significant challenge of harassment on Chicago public transportation. 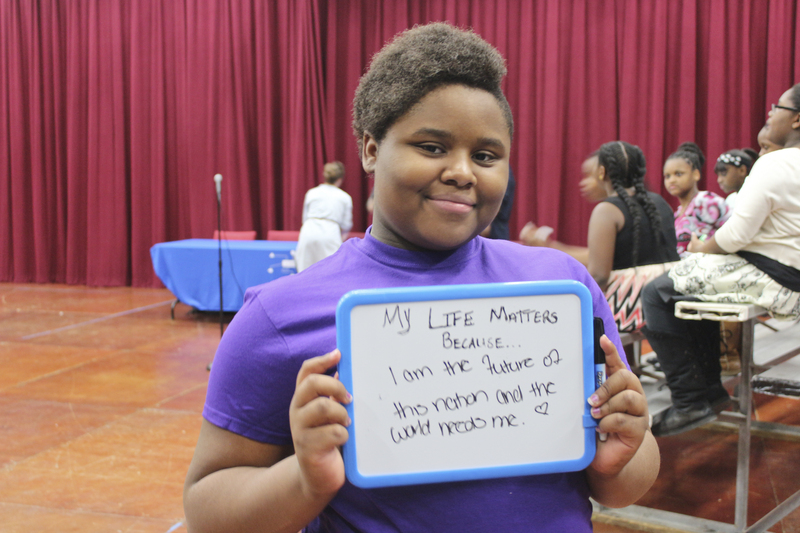 Participants in Alternatives’ Girl World program waged a successful campaign in collaboration with the CTA Board to install anti-harassment signage on trains and buses, and the CTA even changed its website. We are proud of all we’ve been able to achieve by working together. As we look to an exciting and challenging future of expanded programs, we know that the spirit of community will continue to guide our progress. 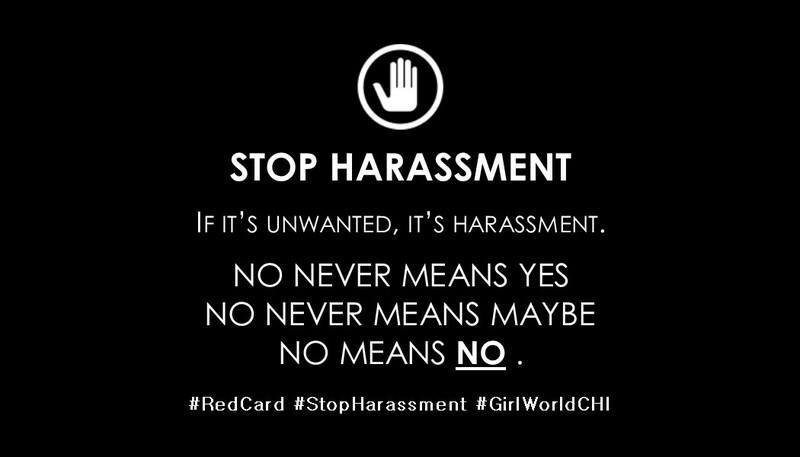 Street harassment is a significant problem faced by many girls and women in Chicago. Alternatives’ Girl World program elected to tackle this challenge head on by researching the prevalence of street harassment and collaborating with the CTA Courage Campaign to stop harassment on public transportation. Girl World participants conducted surveys and interviews to understand the frequency of street harassment in their community. 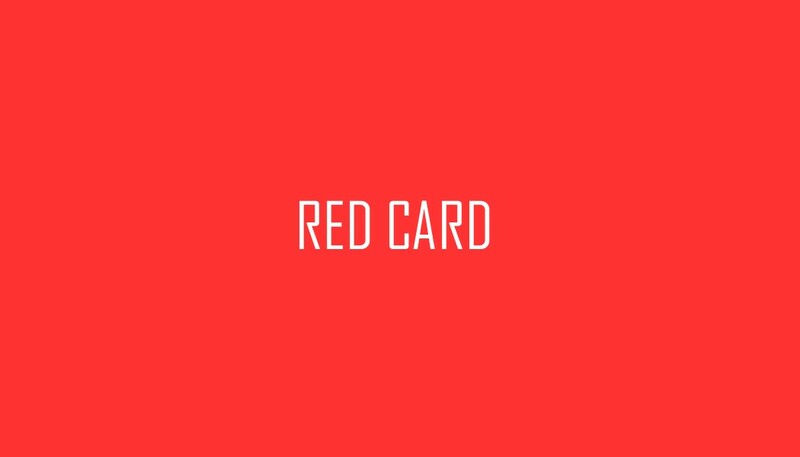 They found that while 92% of people they surveyed had been harassed in a public place (both men and women), 61% intervened when they saw someone being harassed, but only 3.7% had ever reported an incident. When program participants presented their research findings and personal experiences to the CTA Board, members were so shocked and distressed by what they heard that they created a task force to follow up on the concerns that Girl World raised. The task force looked at what other transit authorities around the country were doing to address the issue and brought some ideas to Girl World participants for feedback. The task force’s initial response focused on encouraging riders to report harassment when it happened. 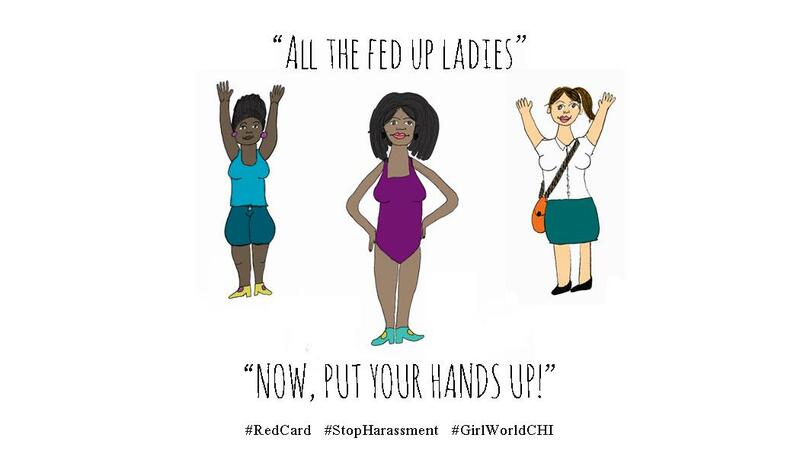 However, Girl World felt that, though this was important, the CTA could also discourage incidents before they occurred with signs stating that harassment is not acceptable on CTA buses and trains. As a result of these meetings, the CTA added a new section to their website about harassment, and they placed signs in the advertising sections of trains, stations, and buses. This campaign was hugely impactful to the young women in Girl World and was a testament to what young people can accomplish when they work together to make their voices heard. 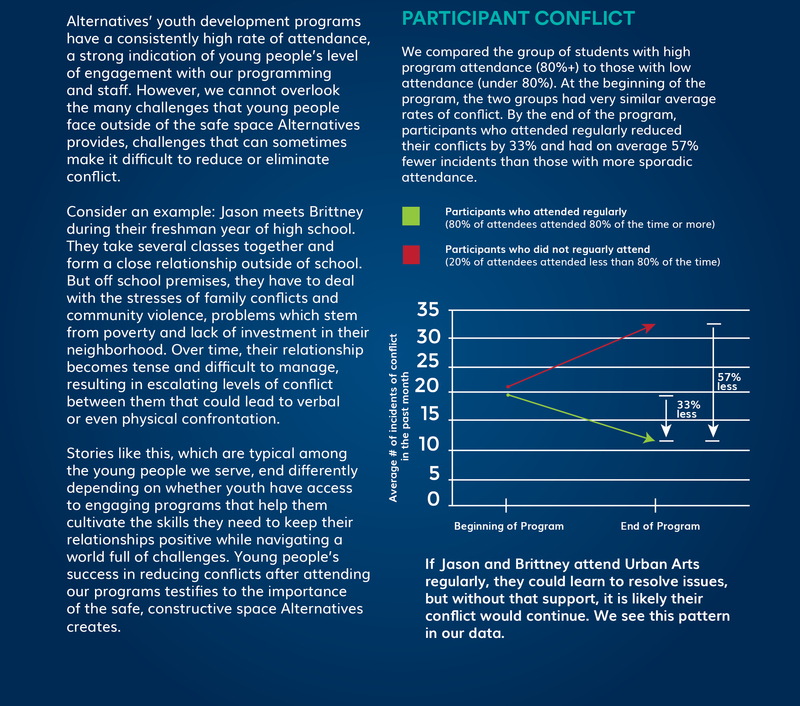 Our Urban Arts program staff have been working hard to further develop a more replicable model that uses arts instruction to build young people’s skills in self-expression, conflict resolution, and leadership. This powerful approach was recognized as a violence prevention strategy and granted funding from Get IN Chicago. 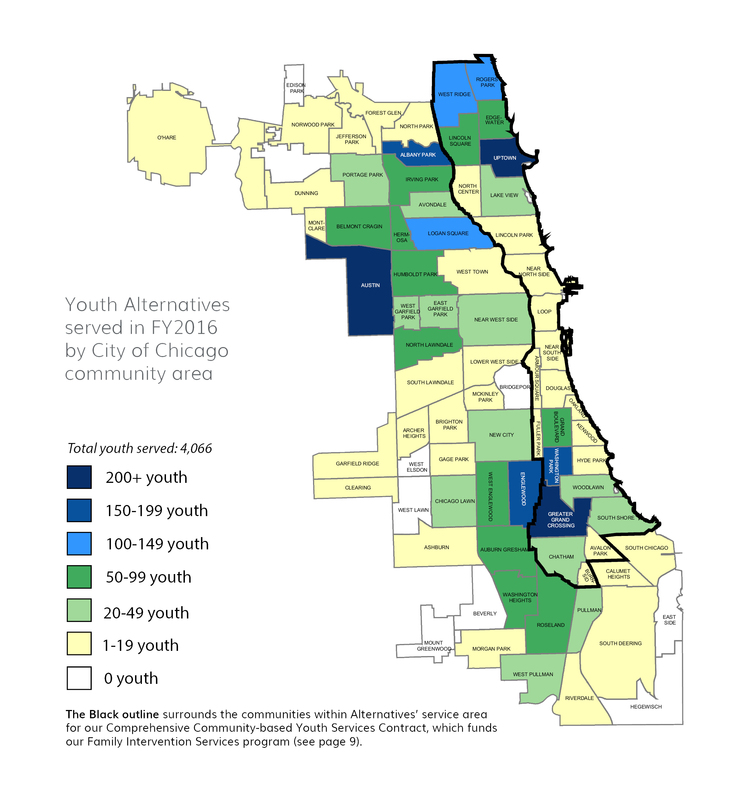 This new funding made it possible for us to expand to four Chicago high schools and work with approximately 80 additional young people. The most substantial challenge that Alternatives faced in FY16 was felt across the State of Illinois – the state’s budget impasse. 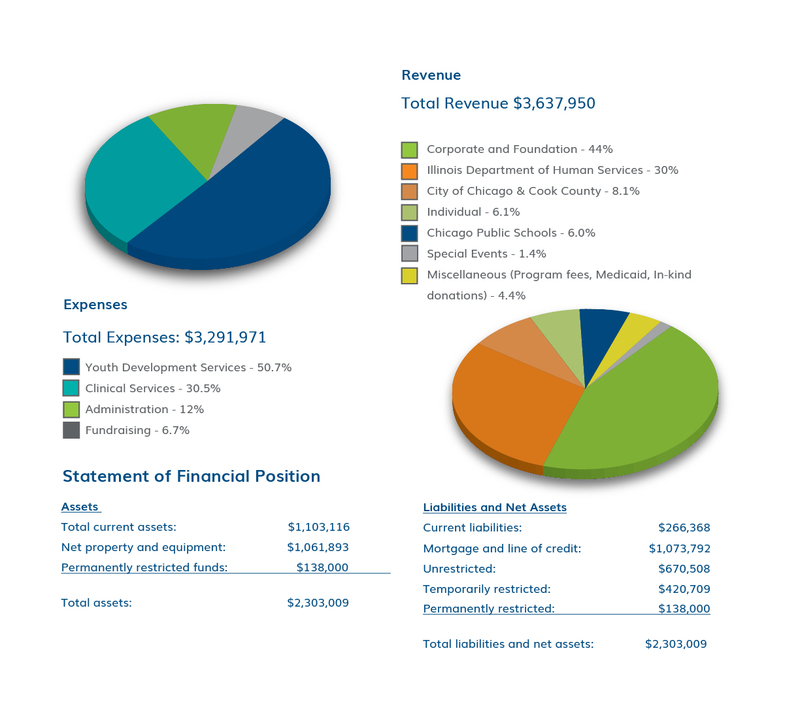 The Illinois budget impasse created considerable stress and uncertainty for Alternatives and had a significant negative effect on our staff members and our young people, schools, and communities. We carefully navigated this protracted situation with the goal of maintaining as many services as possible while ensuring Alternatives’ financial stability. While the budget impasse disproportionately affected programs with state funding, all staff participated in furlough days. When it became clear that the end of the impasse was not imminent, both service and staff cuts had to be made. This type of uncertain environment takes a toll on everyone, including young people, their families, and staff, as well as communities. In the first quarter of FY17, the state finally passed an 18 month stop-gap budget, and Alternatives was paid for the past year’s expenses. The program most impacted by the State’s budget impasse is our Family Intervention Services program. This is one of our most impactful programs that focuses on young people who need support the most — those who are homeless, have run away, or have been kicked out of their home by their parent or guardian. 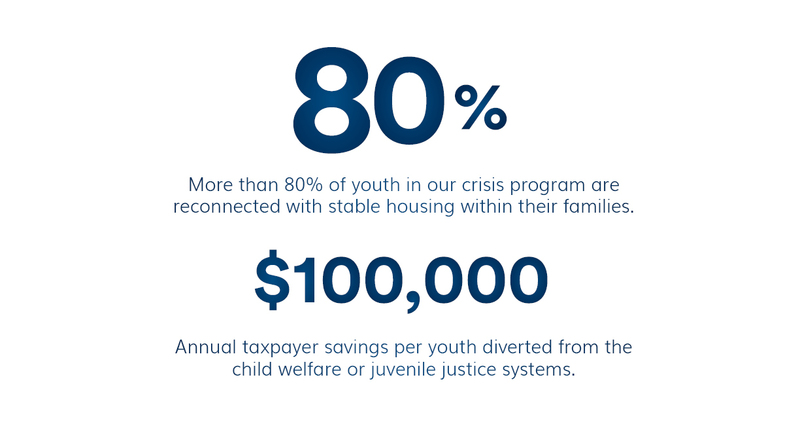 Family Intervention Services helps connect these youth with temporary housing, provides support to address other immediate needs, and then works to find safe and stable housing within their families — helping to keep young people out of the child welfare and/or juvenile justice system. Our service area for this program is outlined in the Chicago map (see above). By working together, our staff made it through this challenging period and Alternatives kept this program going when some service providers were forced to close it down. The best examples of Alternatives’ work come from client success stories. Our therapists have countless success stories, and the story of Shawn vividly illustrates our impact. Shawn came to Alternatives back in October of 2015. At that point he had been estranged from his parents for 9 months and was either couch surfing at his friends’ houses or sleeping on the train. During this time, he witnessed multiple incidents of violence, including the loss of a close friend. He was not in school, and he had no hope for the future. Shawn was connected to Alternatives’ Family Intervention Services program. We placed him in temporary housing, enrolled him in school, reconnected him with his mother, and generally helped to stabilize his life. He continues to receive counseling for his post traumatic stress disorder, but his progress is amazing. Last fall, he passed every one of his classes, and in the spring he graduated from high school with a culinary certificate. Program staff attended his graduation ceremony, and he was so full of pride and hope for the future! There are so many Shawns out there who just need support. With full funding for Family Intervention Services, we could have impacted three times as many young people through this program. One of Alternatives’ long time foundation supporters, Charles E. Marks, Jr. Charitable Trust, announced in FY16 that they were planning to close their doors. Alternatives has been working for many years to increase private contributions and diversify funding, and this funder believed in our Board’s and individual supporters’ capacity to introduce more people to Alternatives’ incredible work with young people. The foundation’s trustees gave Alternatives’ Board a challenge grant that was a wonderfully difficult challenge. They said that if the Board could raise at least $75,000 in new and increased gifts in 6 months, they would match it by 150%. This was during the same timeframe as the beginning of the State’s budget impasse. Each Board member used a different strategy. Several members hosted gatherings in their homes, three worked together to organize a Casino Night at Alternatives’ Youth Center in Uptown that raised $11,000, and one Board member decided to run the JFK 50 Mile race in Maryland. This historic race in Maryland begins by following the Appalachian Trail for just over 15 miles. While this Board member, Mike Cramarosso, has run 51 marathons and 7 ultramarathons (50 Km or 31 miles), this race was his longest ever! Through this heroic show of commitment to Alternatives’ work, Mike was able to raise more than $5,000. This was such a great experience for Mike that he is building opportunities for other Chicago Marathoners to raise funds for Alternatives. 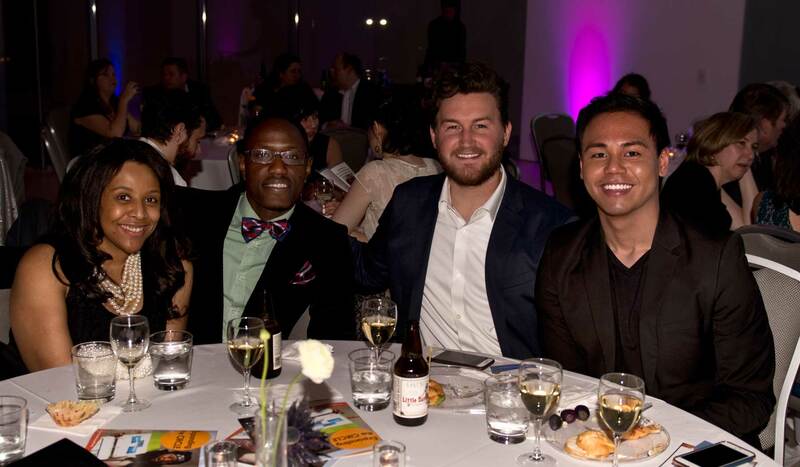 The hard work of our amazing Board of Directors helped bring together hundreds of supporters, and we met the challenge, raising $109,000 of new and increased gifts by the end of December 2015. These gifts were then matched at 150%, which meant an additional $260,000, for a grand total of $369,000! Our boost in donors and funding this fiscal year helped us negotiate an especially challenging period, and we want to use this opportunity to publicly thank the Marks Charitable Trust and all of Alternatives’ Board of Directors and donors. You took action and made the difference in our ability to navigate this challenge and in fact to grow our reserve fund so that we can plan for the future. After navigating many challenges in FY 16, Alternatives is on stable footing and ready for the future. Near the end of the fiscal year, we began making changes and key strategic investments to put our plans in motion. In March, we opened a temporary office in the Grand Boulevard community area on Chicago’s South Side. This space will serve as an important launch point for our full centralized South Side Center. As we grow, we plan to increase connections between our various programs and services in order to provide comprehensive support for young people. In order to facilitate this program integration, we hired a single Director of Programs to oversee both our Youth Development programs and our Behavioral Health Services. We also created a new position, Director of Operations and Strategic Engagement, to support strategic planning, partnership cultivation, professional development, and community engagement. Although our plans to open a new site are recent, we have been operating in schools and with partner organizations on the South Side for many years. In these interactions, we have heard repeatedly that young people need behavioral health services. To meet that need and establish a sustainable funding model, we are investing in infrastructure to bill Medicaid for services provided to eligible clients. This key strategic investment will ensure Alternatives’ longevity and ability to provide excellent services. We are looking forward to the future. While we know that more challenges will arise, we are confident in our ability to emerge from them stronger and better able to support the development of Chicago’s youth. THANK YOU TO OUR DONORS !